Some Features of Apple iPad Air! So two new iPad models – Mini 2 with Retina and rebranded Apple iPad 5 now named iPad Air – have just been released. I actually like the new name; how many digits would have the company gone up anyway – Apple iPad 21? Meh. Anyways, following the showcasing event yesterday, here are a few iPad Air hidden features that weren’t talked about. You might be tempted to get the new iPad Air after learning about them. There have been few major improvements in these latest iPad models. For one, iPad Air has got a smaller 32.4 Watt battery which will give faster charging time and will last longer. Previously, though iPad batteries did have a great life, they also took longer to juice up. According to iLounge claims, this new battery will help iPad charge in four hours and not five or six. Software optimizations will help the smaller battery keep up to that premium life in spite of the reduced size. Apparently not one of the iPad Air hidden features, the hardware design has also improved remarkably. The new iPad 5 is being offered with a 7.5mm thin design. The new tablet is far more compact and lightweight than the past year’s model. 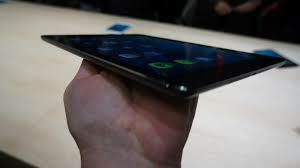 It only weighs a pound and the company claims it is the lightest full-sized tablet available in market! 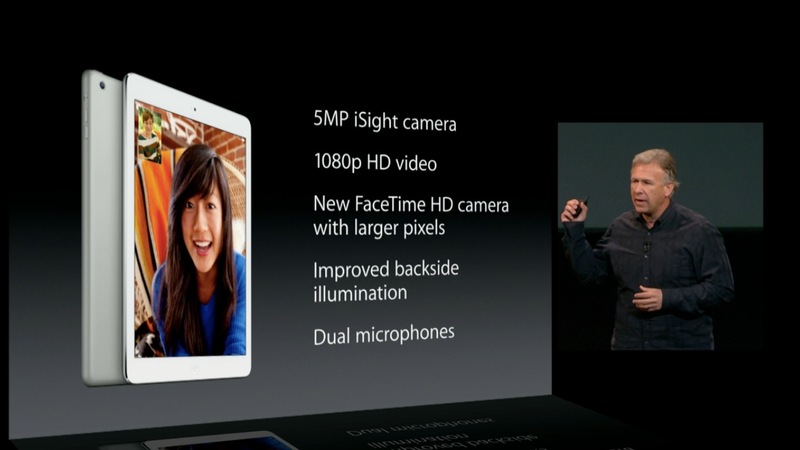 Apple iPad Air will also sport an improved iSight camera for better photos and videos. Showing off a beautiful 9.7 inch Retina, Air will come with an A7 processor and 64-bit support – debuted in iPhone 5S. This new iPad Air with its lightweight, beautiful screen, iOS7 and, battery optimizations will be a staple for those who prefer doing business on tablets, ditching laptops completely. Apple iPad Air will be available from 1st November while the Mini 2 with Retina will be on shelves a bit later in November. No pre-orders! 12.9 Inch iPad Screen Resolution Leaked.